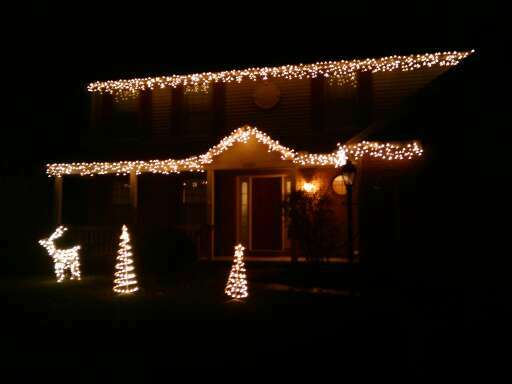 The house Christmas lights are up! The 2 small trees in the front are new. Heather wants to add lights to the porch or maybe the bushes. We’ll see, looks like today will be the warmest day in Columbus for a while. ← Heather made Cherry Pie!